Temporary Emergency Services Inc. (TES) is a nonprofit organization dedicated to helping individuals and families in crisis situations. Churches in the Tuscaloosa Community funded TES in 1945 to serve clients unable to receive assistance from local social services agencies. We assist individuals and families in crisis situations in order to allow them to survive the immediate crisis they are encountering. 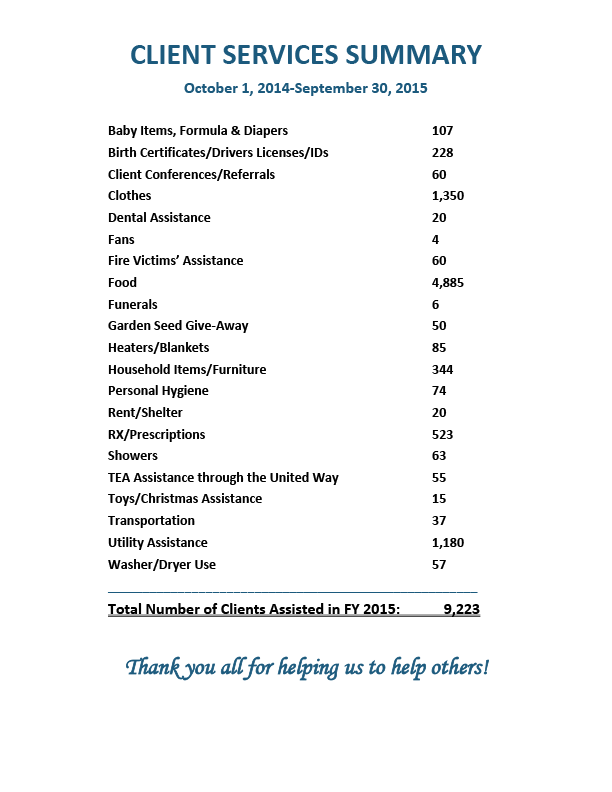 Click here to see a list of the services we offer and how many clients/families have received these services. TES operates its programs efficiently and effectively, thereby maximizing its limited resources, and the productivity of its employees. We utilize programs and services that have been successful for other public, private, and nonprofit organizations. 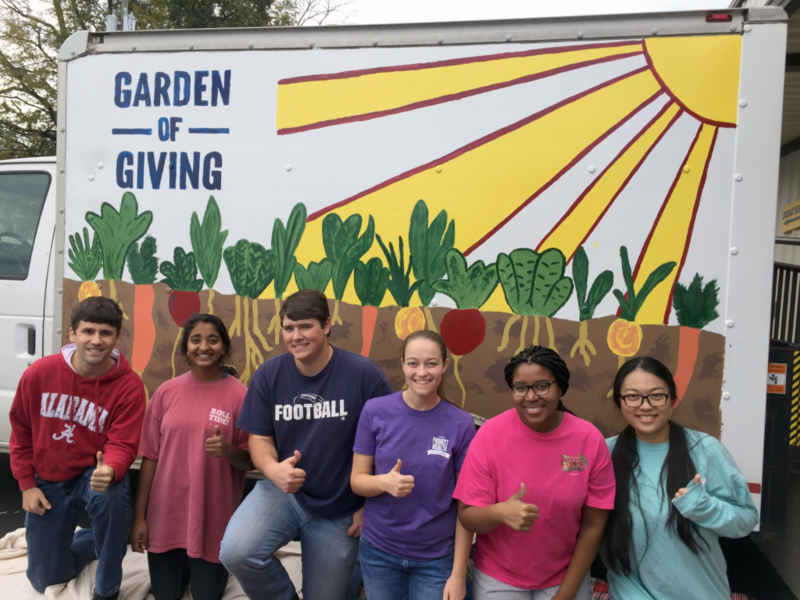 TES and the Thrift Store serve residents of Tuscaloosa County on an as needed basis through donations received from United Way of West Alabama, local businesses, churches, and individuals. TES would not be able to run without its dedicated, hardworking staff. The Board of Directors has general oversight of the operations of Temporary Emergency Services, including approval of each fiscal year budget, review of the agency’s financial reports and annual audit, the agency’s operations and evaluation of TES employees. The board also ensures that the agency is meeting the goals of its purposes and programs. The board president appoints committee chairs and, in consultation with them, members of the committees. The vice-president coordinates the work of all committees. Standing committees are the Finance and Community Service Committees. Special committees may be appointed by the president for specific purposes. The Board of Directors of Temporary Emergency Services includes 21 residents of Tuscaloosa County who volunteer their time, expertise and talents to further the mission of TES. Officers of the board consist of the president, vice-president, secretary and treasurer. Membership is open to the community-at-large. For a list of current members of the Board of Directors, call the TES office at (205) 758-5535. TES partners with many agencies organizations in the community to provide the most efficient and effective services to our clients. Some of these include student organizations like the ones listed below. If you represent an organization or agency and are interested in partnering with TES, or presenting a donation, please contact us for more information. 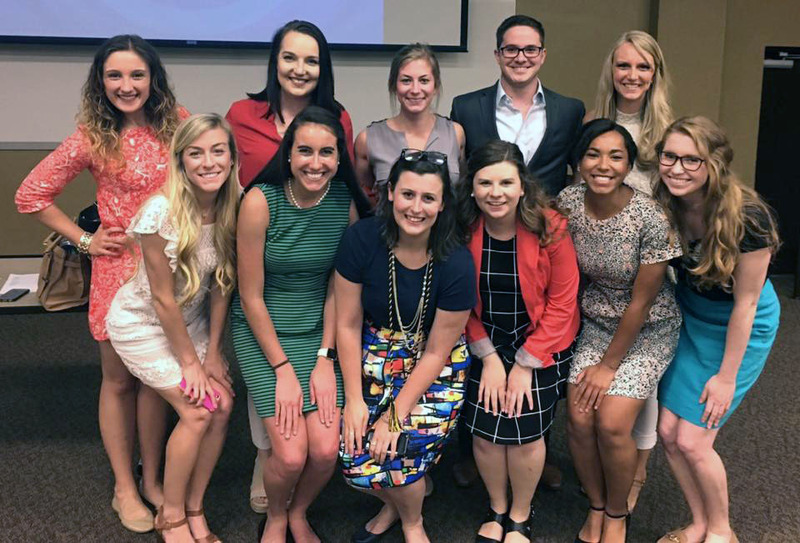 The University of Alabama Chapter of Circle K International promotes service, leadership, and fellowship. Circle K prides itself on providing meaningful service to its partners and its members. Many members from our chapter and from other clubs across our district have offered their time and talents to Temporary Emergency Services. This partnership provides an outlet to sharpen skills and foster service, leadership, and fellowship.